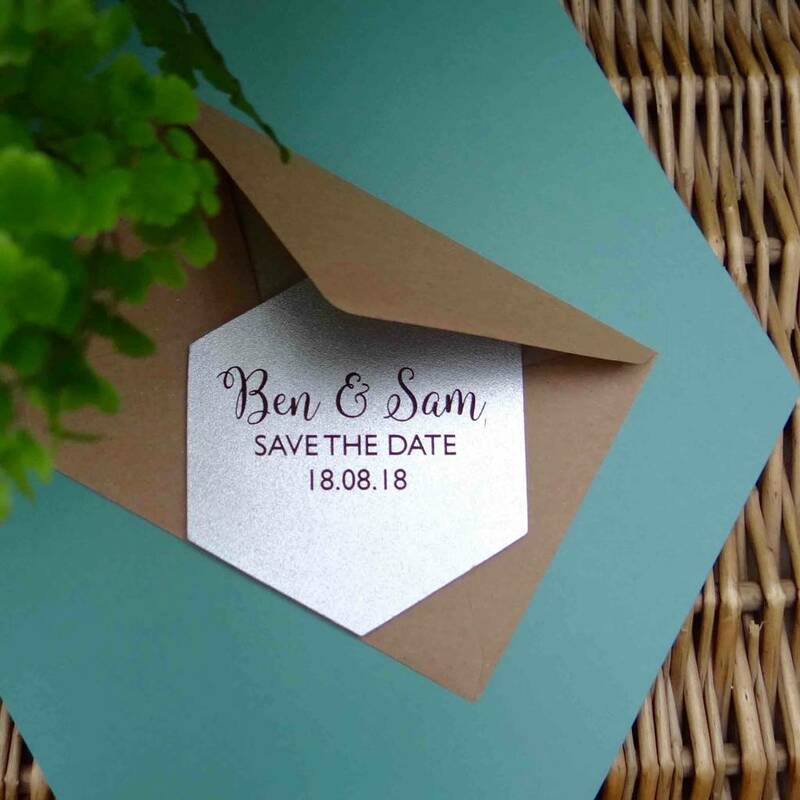 A luxury personalised save the date card engraved leather coaster. A beautiful and useful tabletop reminder of your wedding day for friends and family. 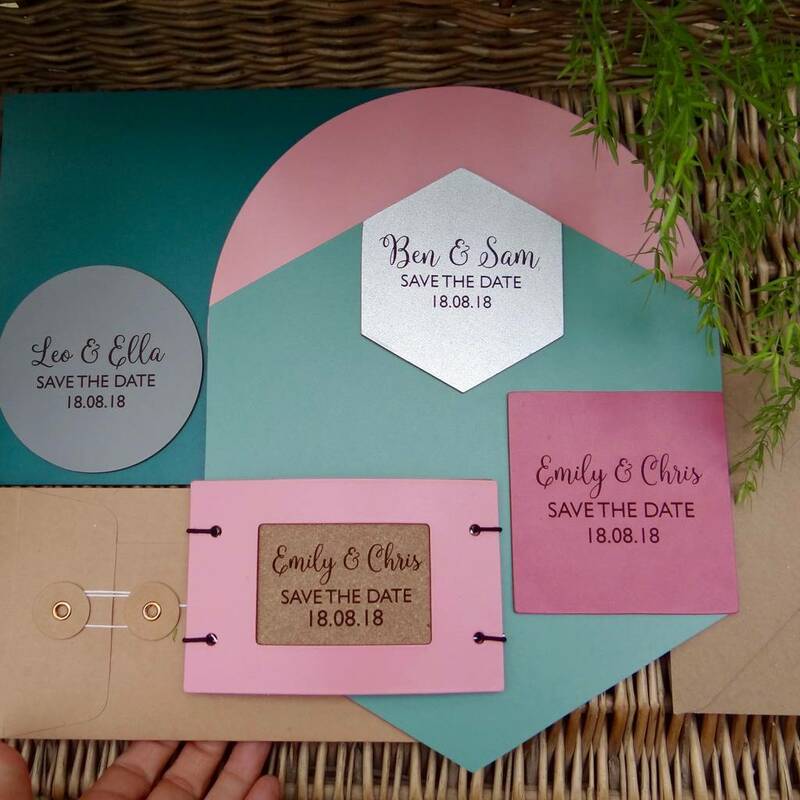 Artbox personalised save the date recycled leather coasters are ready to send in recycled kraft envelopes to to key people: friends, bridesmaids, flower girls, best man, grand parents, god parents, special friends and family. Made in a wonderful range of colours and sizes: round, square rectangle and hexagon. 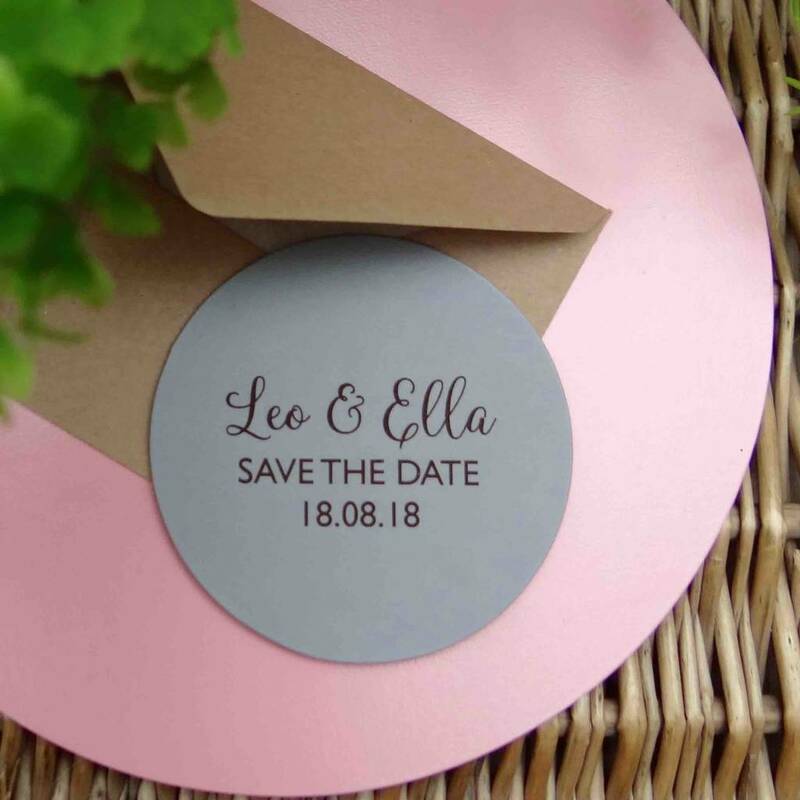 The leather coasters are engraved centrally as shown in: contemporary calligraphy with SAVE THE DATE and the DATE itself in modern style fonts. 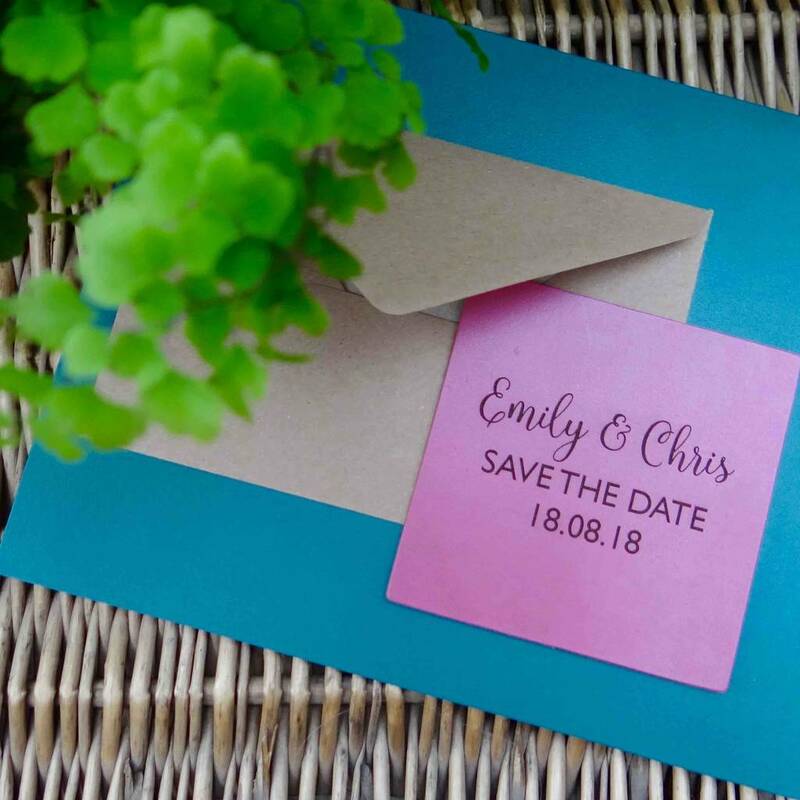 The names could also be engraved in elegant script, bold classic or modern script, please let us know as an enquiry if you would like to use this or an alternative font. We'll do our best to help! Made in our Sussex bookbinding workshop from solid recycled leather with a natural coloured reverse side. Wipe clean and durable: beautiful and useful! These personalised leather coasters coudl be engraved with n alterantive message for the wedding table given as a well appreciated eco friendly gift. 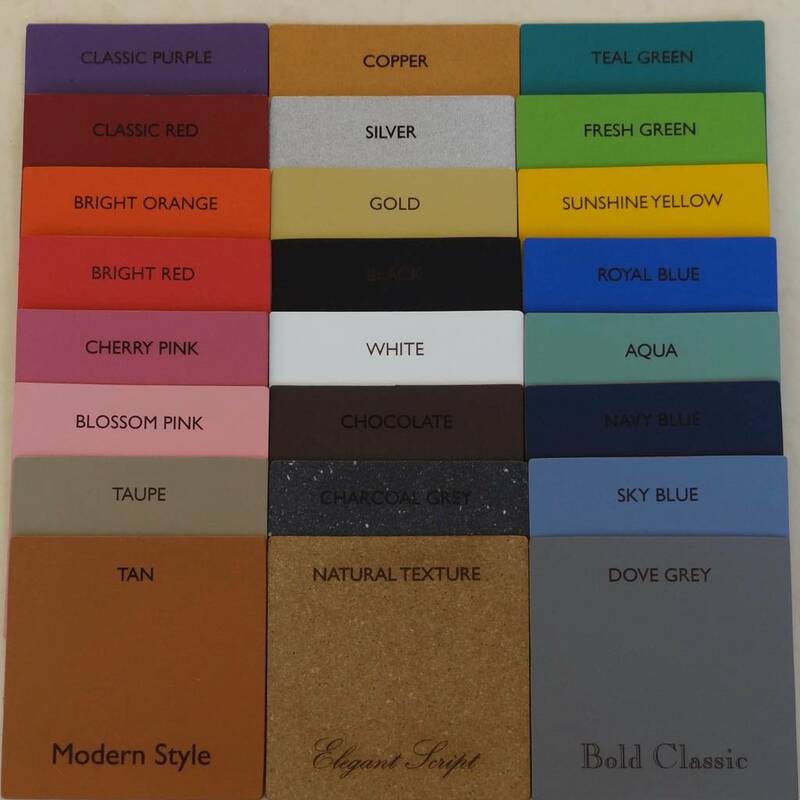 We also make matching leather wedding placemats, leather wedding planners, guest books frames and photo albums. Single 10cm hexagon, square or circle. 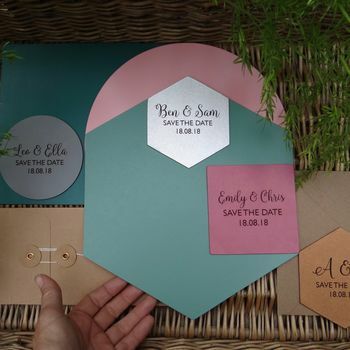 Supplied in a plain kraft envelope or in a string and washer gift envelope if ordered.